My new book, The Toronto Maple Leafs: The Complete Oral History, will be released one month from today. Invitations to launch parties in Toronto and Owen Sound will be sent out in October. Meantime, click on this link for a sneak preview. Eric Zweig captures what the Toronto Maple Leafs have meant to many hockey fans since their inception. I had particular interest in the decades following their 1967 Stanley Cup victory, and Eric captures the ups and downs of the team for all fans of hockey. I particularly enjoyed reading of the present state of the Maple Leafs and how Eric has detailed the rebirth and future of this franchise. … I am so delighted that my distant journalistic pal, Eric Zweig, has produced this magnificent, insightful, and all-encompassing oral history of the Leafs I so much loved. To put it simply — and historically — the moment I began turning these pages, I felt precisely the same thrill as when I heard Foster Hewitt shriek He Shoots! He Scores!! on a big Don Metz goal in that classic 1942 playoff comeback. Eric Zweig wrote — and he scored! A standout hockey book of Leaf fortunes and foibles with a twist. Zweig calls on numerous chroniclers of Leaf history to make this one hum. Leaf Nation will love it. Eric Zweig has bled blue and white since he was seven years old. But this is far, far from just a fan’s book. When you combine the abject fan with a fine historian and a writer’s ear for grand storytelling, you end up with the book on the Toronto Maple Leafs, from past grandeur through years of debacle to today’s future promise. A wonderful read. Eric Zweig is acknowledged within the hockey community as one of its premier historians, and he unequivocally proves why he has few equals in his field with this outstanding history of the Toronto Maple Leafs. Eric leaves no stone unturned with his exhaustive research in this truly entertaining but equally important book. Not just another history of the Toronto Maple Leafs, but generational work by one of hockey’s premier historians, period. Supremely researched and presented, as one would expect of Eric Zweig. The hundred-year history of the Toronto Maple Leafs is so rich in drama and event and personality — there are even some (long-ago) Stanley Cups in there, somewhere. Trust Eric Zweig to wrangle it all into such a full and compelling narrative, which he has done — just as the Leafs look like they’re ready to dominate again. How is it, I was asked yesterday in the wake of recent news, that the National Anthem got hooked up with sports in the first place? Although I had been asked specifically about hockey when I first looked into this back in 2009, the best answer I could find indicated that the practice of playing the National Anthem at sports events began when The Star-Spangled Banner was played during the 1918 World Series. That seemed reasonable to me, given that Major League Baseball cut short the regular season that year due to World War I. It turns out that the connection goes all the way back to the time of the U.S. Civil War. It was the opening game of the Union Grounds ballpark in Brooklyn, New York, on May 15, 1862, and the band on hand for the festivities began the musical proceedings by playing The Star-Spangled Banner. I think both John and I are only speculating at a direct connection between the War and the playing of the National Anthem that day, but it certainly makes sense. The Brooklyn Daily Eagle, May 16, 1862. Page 2. I wrote about God Save the King being played prior to a game in 1910 in my very first book, the novel Hockey Night in the Dominion of Canada. The book was published 25 years ago and I honestly can’t remember anymore if I’d come across any evidence of this having actually happened at the time. (The book was fiction, after all!) However, the National Anthem was most definitely played prior to the opening home game of the Ottawa Senators early in the second NHL season of 1918-19. This article appeared in the Vancouver World on December 27, 1918. But when did the National Anthem become a regular occurrence at sports event? Apparently, it wasn’t until 1924 in Paris that National Anthems were played for every winner at the Olympics. John Thorn’s story mentions that although some Major League Baseball teams had begun playing the National Anthem before games in 1941, which was prior to the U.S. entering World War II, it became universal in baseball in 1942 after American involvement. I haven’t looked into the National Anthem and football, but it seems reasonable to believe the practice started in the NFL around the same time. 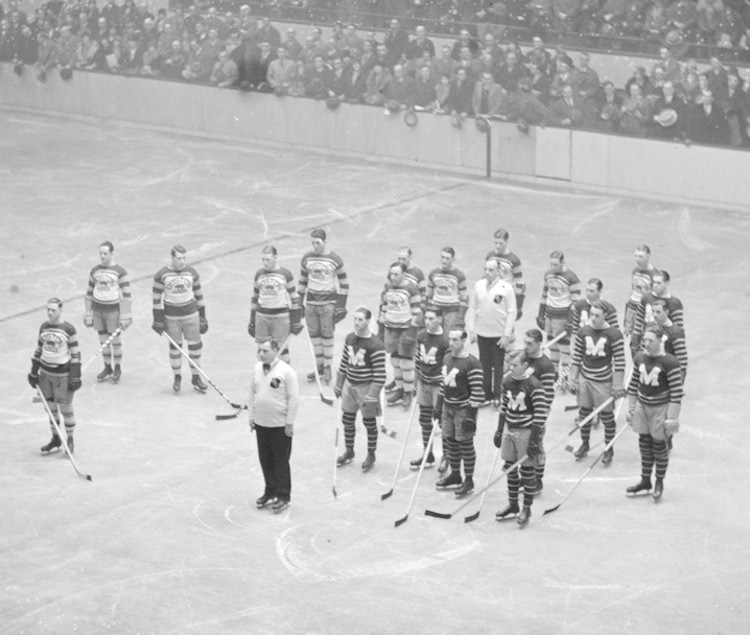 As for hockey, it’s been said that the tradition of playing the National Anthem prior to games began around 1930. This picture of the Boston Bruins and Montreal Maroons at the Boston Garden may well have been taken during the NHL playoffs in 1930. It’s often said to be an early example of the “new” trend. 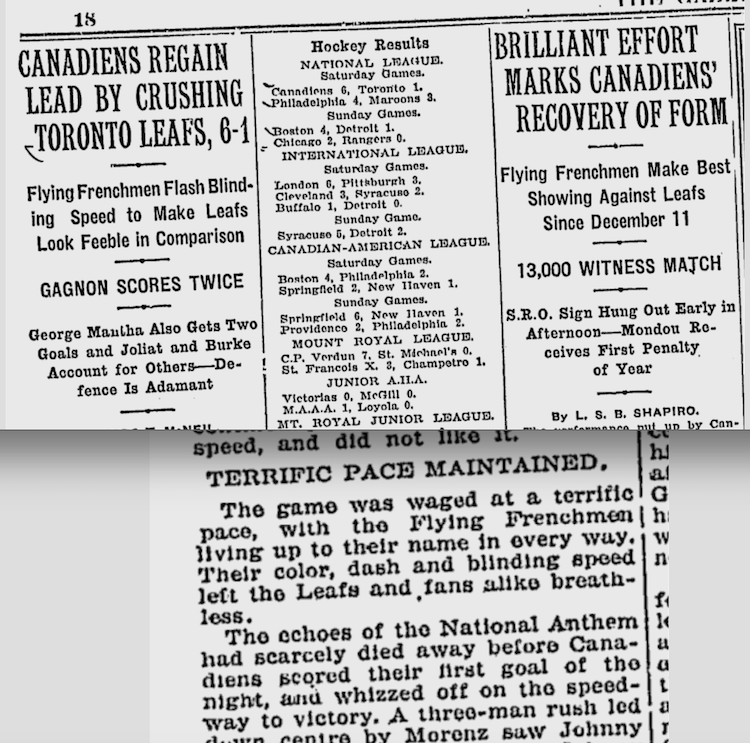 Still, there’s reason to believe that, even if it wasn’t continuous from 1918, the link between National Anthems and the National Hockey League dates back to at least the mid 1920s, and perhaps before that. When the first NHL game was played in Madison Square Garden between the New York Americans and the Montreal Canadiens on December 15, 1925, bands played both The Star-Spangled Banner and God Save the King prior to the opening face-off. So even if baseball started it, it looks like it was hockey that made the National Anthem a regular part of going to a game. With expectations high among Toronto hockey fans for the upcoming season, Maple Leafs president Brendan Shanahan and mayor John Tory announced this week that December 19, 2017, will be designated Toronto Maple Leaf Day. The date will mark exactly 100 years since the first games in NHL history, which were played on December 19, 1917. “Our birthday comes on a Tuesday,” said Shanahan. (The original date in 1917 was a Wednesday.) “It’s a school night. So the decision was made [to play the game] at two in the afternoon.” It would have been nice to have had a more historically significant opponent than the Carolina Hurricanes, but what can you do? Shanahan said the Leafs are encouraging season ticket holders to bring a child with them that day, or to donate their tickets to the MLSE Foundation, which will give them to school-aged fans. Of course, the kids will have to get permission to skip an afternoon of school. 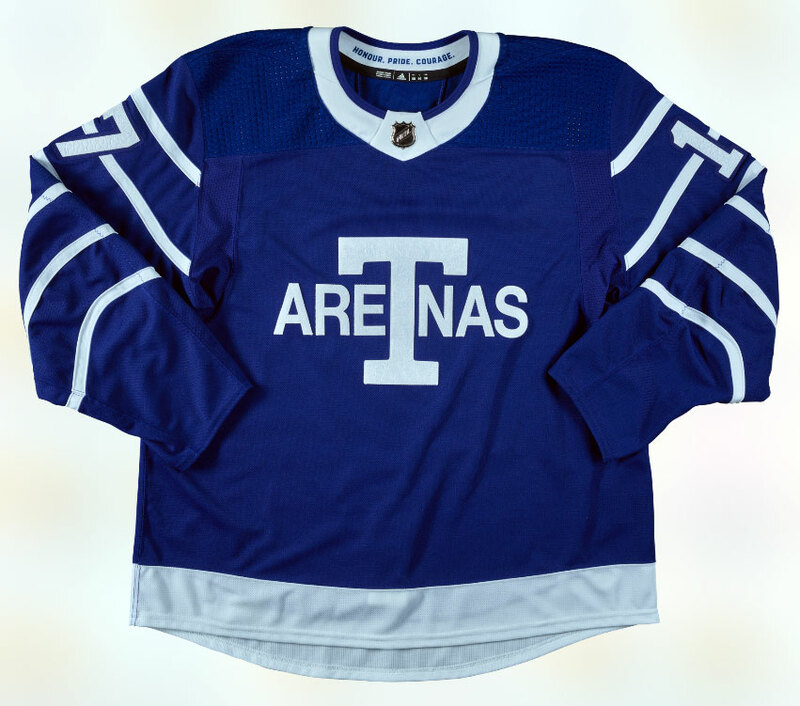 The Leafs will also be wearing special jerseys that night, modelled after the uniforms worn by the Toronto Arenas of old. 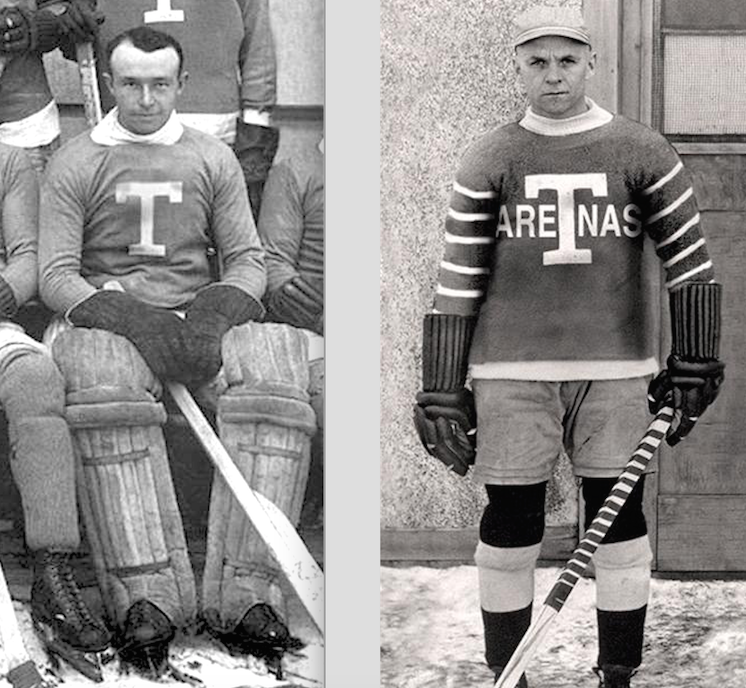 Still, if anyone had asked me, I’d have argued strongly for a sweater based on the uniform Toronto’s team actually wore during that first season of 1917-18. Yes, it’s a little bit plainer (and was pretty much the same uniform the team had worn for five seasons as the Blue Shirts/Blueshirts in the NHA), but it’s the uniform that was worn on the night of December 19, 1917. It’s the uniform Toronto players were wearing when they won the Stanley Cup at the conclusion of the first NHL season in 1918.
of 1917-18. Harry Cameron sports the jersey of 1918-19. 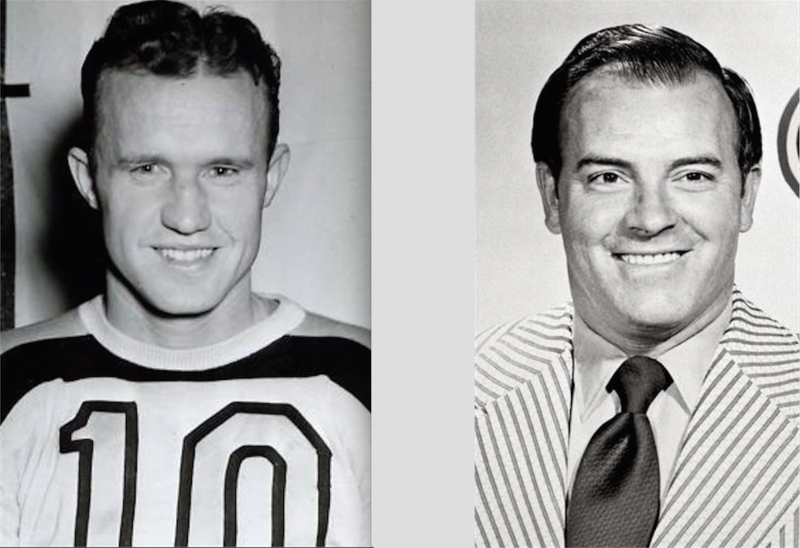 Instead of honouring the first NHL champions, the Leafs are going with a sweater that commemorates, arguably, the worst season in 100 years of Toronto’s NHL history. The 1917-18 Stanley Cup winners completely fell apart in 1918-19. There were accusations that some team members played while drunk. That may or may not have been true, but the team was playing so poorly that the NHL decided to re-jig the entire schedule midway through just to keep Toronto in the playoff picture in a league that only featured two other teams! 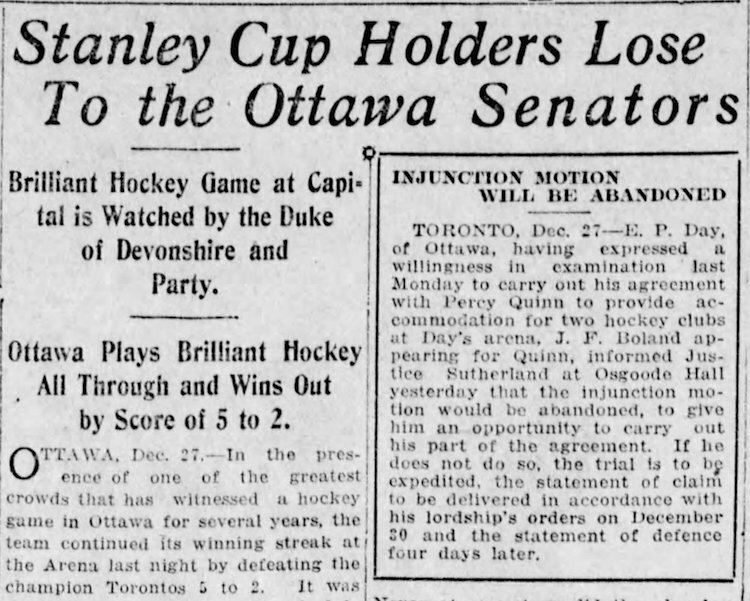 Even at that, the Arenas were so awful in 1918-19, and attendance in Toronto so terrible, that ownership suspended operations before the season was over. The team played just 18 games, posting an overall record of 5-13-0 for a “points” percentage of .278 that will probably always be the worst mark in franchise history. It would result in just 45 points in the current 82-game schedule. Toronto returned to the NHL in 1919-20 under new ownership comprising men who had previously run the senior amateur St. Patricks team of the Ontario Hockey Association. Hence the new name. 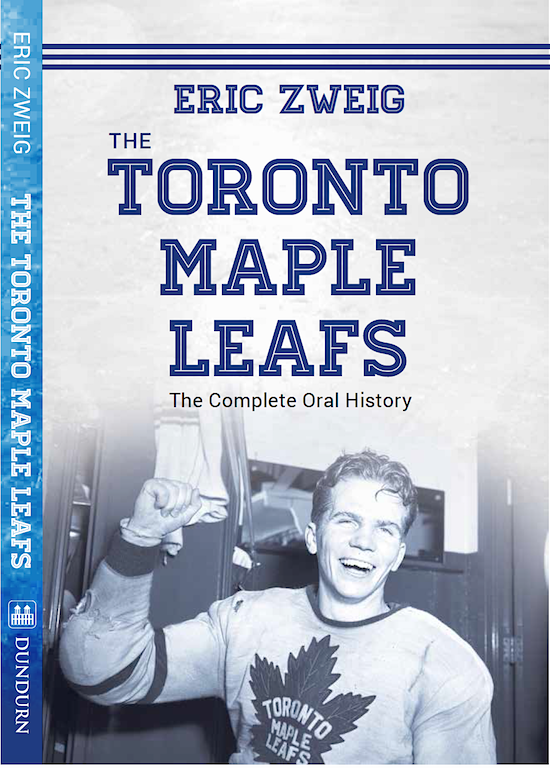 As I mentioned a couple of weeks ago, if you’re already thinking about buying or recommending The Toronto Maple Leafs: The Complete Oral History, please consider pre-ordering a copy at Amazon or Indigo or wherever you like to buy your books. And don’t be shy about ordering any of my other books there either!